Demystify the construction and shaping so you can confidently transform your yarn into your own magical shawls! "I've tried knitting shawls before but I always messed them up!" "I want to knit shawls but they look so complicated..."
"I've been wanting to design my own shawls but I don't understand the construction"
These are common responses I see when the topic of shawl knitting comes up. And it's disheartening to read, because as an avid shawl lover, I know how magical shawl knitting can be! 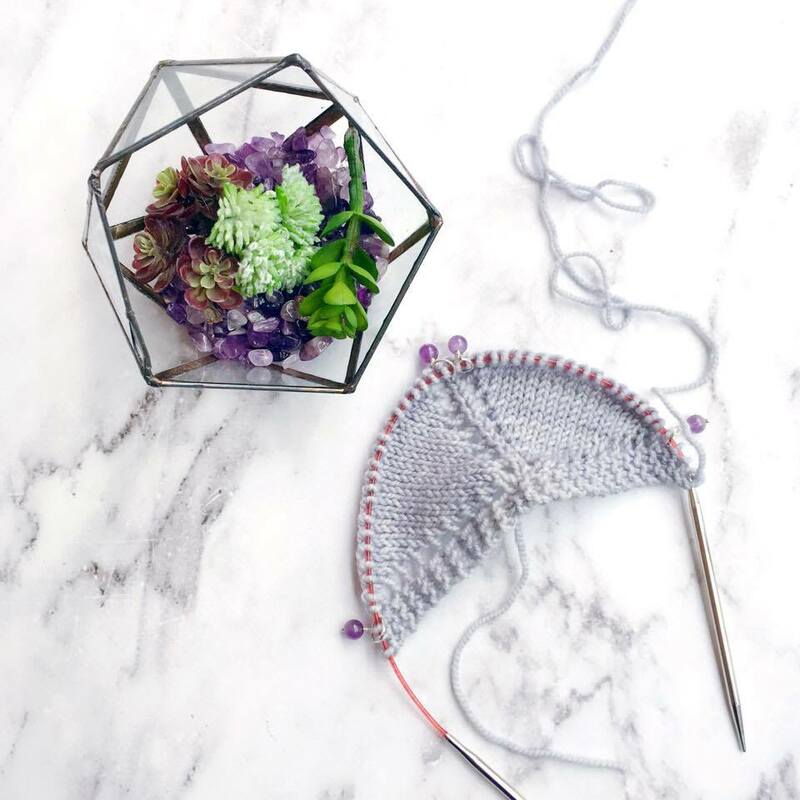 If you've always wanted to start knitting or even designing your own full-sized shawls but found yourself intimidated by the process, this is the challenge for you! Learn how to form 5 different shawl shapes, demystify the process of shawl construction and diversify your shawl design library, all in 5 days. By working a mini-prototype of a shawl shape each day (30 minutes knitting time max! ), you'll find this challenge addictive, educational and confidence-boosting. This challenge is for any Fibre Muse wanting to learn more about shawl construction in order to knit, create or design their own shawls confidently and boost their creativity. Are you ready to transform your yarn into beautiful, handmade shawls? A welcome email upon sign-up, with information on what materials you'll need for the challenge. An invitation to the Fibre Muse Circle FB group, where the challenge will be hosted. Daily emails over the course of 5 days with a new shawl shape to knit up. Daily live-streams in the FB group for extra training, tips and tricks, as well as daily Q&A. Entry into amazing giveaway prizes! And most importantly... the confidence and knowledge to transform your yarn into your own magical full-sized shawls. Are you ready to transform your yarn into shawls and unlock countless possibilities for future projects? Sign up below! I want to transform my yarn into shawls!